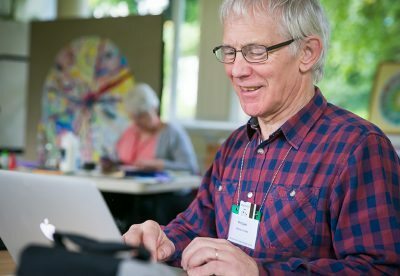 As well as courses onsite in Birmingham, Woodbrooke offers learning opportunities throughout Britain Yearly Meeting and beyond. These include Woodbrooke on-the-Road, regional events and our programme of courses at Swarthmoor Hall in Cumbria. If you would like to experience Woodbrooke learning without travelling to Birmingham, you can do so in a number of ways. Why not find out if we are running any events near you? Invite us to work with your meeting in a venue of your choosing. An affordable way to work with experienced and skilled tutors. An opportunity to learn and grow with your meeting, and others in your region. We look forward to learning with you, wherever you are.